Beverley has over 25 years solid driving experience across the UK and Europe. A career spanning Business Development, Marketing, Customer Service. and One to One coaching and training. 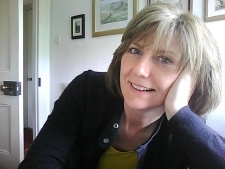 Over the past 12 Years, Beverley has being involved in one to one 'Client Centred' coaching in driving tuition. Beverley has also been awarded a Grade 'A' Status. this the highest level of standard for Driving Instruction. Fully qualified as an Approved Driving Instructor on the DVSA Register, Beverley has an excellent track record in teaching safe driving for life. Combined with well above average pass rates and excellent First time pass success, There are many reasons just to name a few as to why you should choose Beverley Ward.